Bagpipe of centrum France known as "musette du centre". 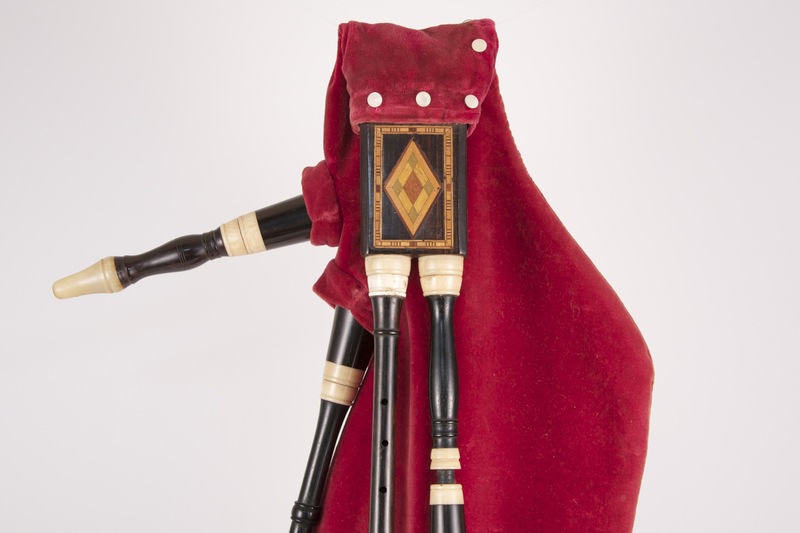 Instrument equipped with a chanter (reed still in play condition) and two drones drilled and plugged at the ends, no reeds and the case is decorated with marquetry. 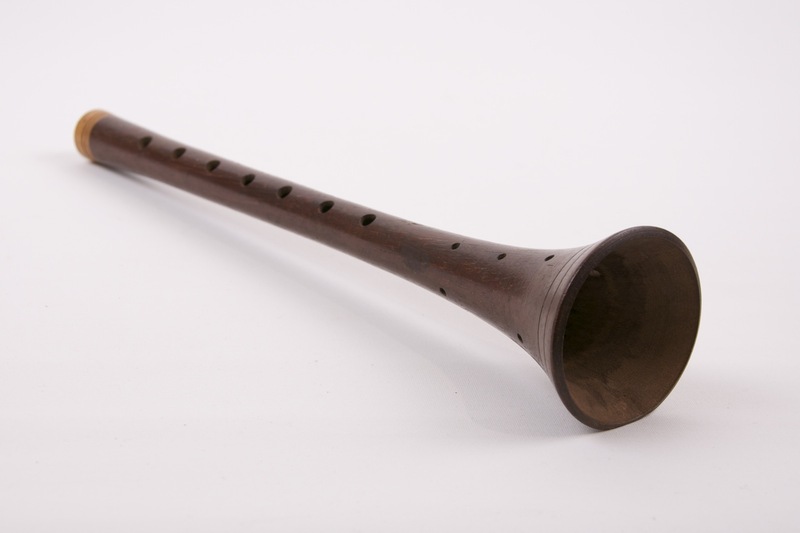 Zourna or zurna, Turkish traditional instrument with double reeds. 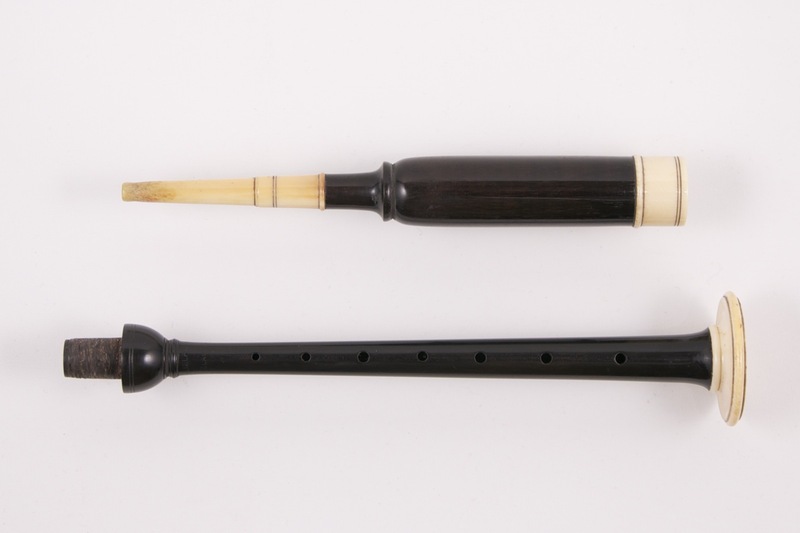 Ebony practice chanter with ivory bands and ivory mouthpiece. Cocuswood oboe with silver plated keywork. Made in the Couesnon factory, but signed "Triebert" (after the Triebert firm had been bought out). 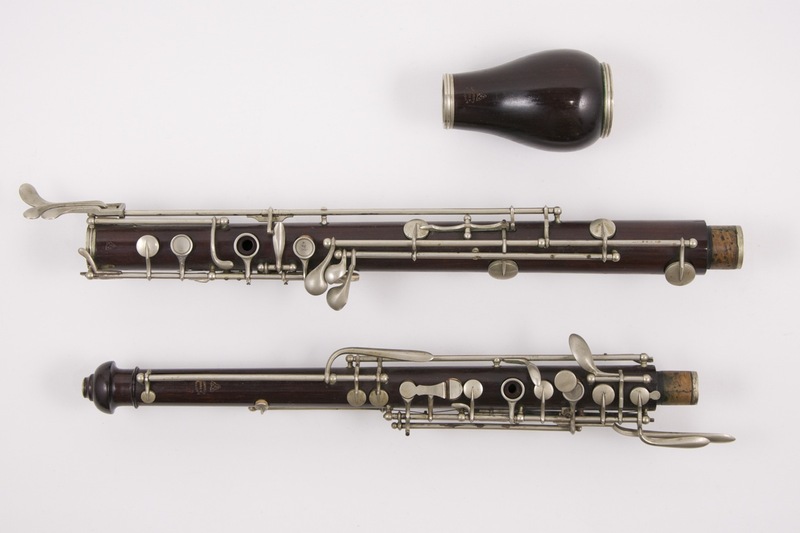 The conservatoire models are branded "monopole", the best quality by Couesnon. 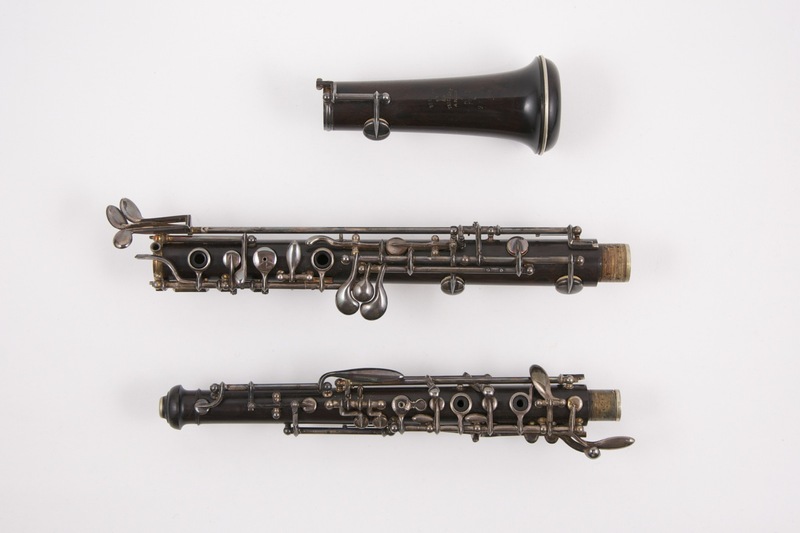 Cocuswood english horn in his original case, nickel silver keywork, 2 bocals including one signed: a. M., a reeds and a grease box.